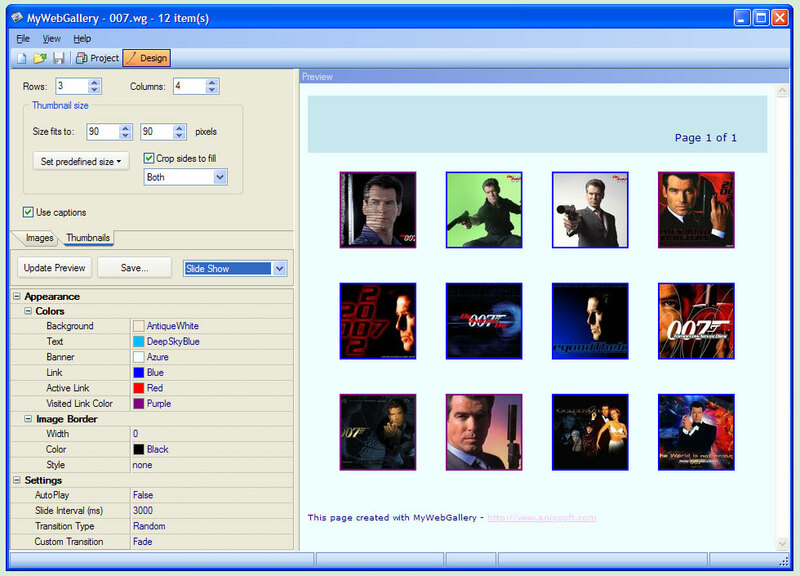 MyWebGallery allows you to create web galleries and slide shows (HTML pages with thumbnails and full-sized images). Images may have captions. You can preview web galleries in the design mode, then save them to the hard drive and upload to your website. 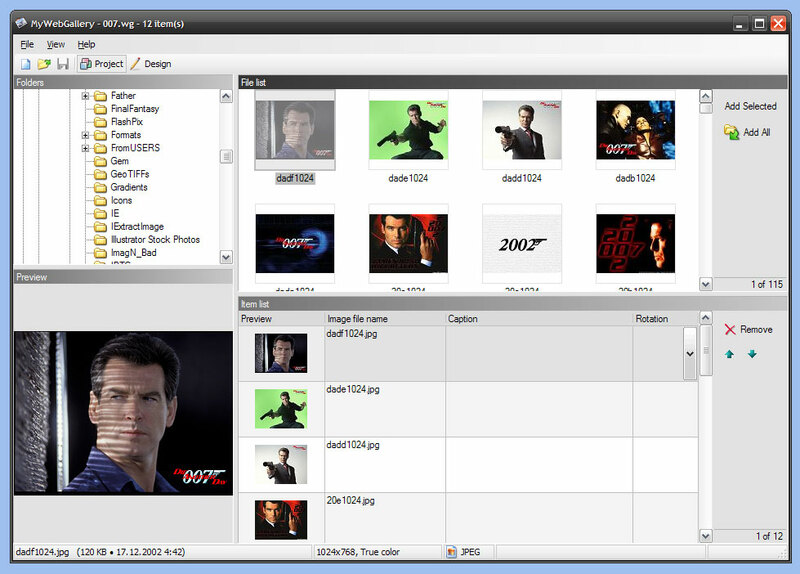 The program contains several gallery styles (Table, Vertical Frame, Horizontal Frame, Slide Show and Scroller). New styles can be added or edited by users. Click the following links to see samples of web galleries created with different styles: Table, Slide Show, Scroller. Download demo (1.9 MB). Buy Now.